The technology includes a Send/Receive API, so that businesses can automate the sending of text and also ‘interactive rich bubbles’ – basically, quite straightforward content – to the platform’s 900 million active users. 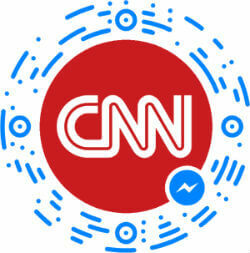 Developers and businesses will get the necessary documentation to build and submit bots for Messenger; Facebook will decide ‘gradually’ which ones get approved. The chatbot API is named ‘Messenger Platform’, and is clearly aimed at businesses. There are also ‘Messenger Codes’, similar to QR codes and possibly an imitation of the recently launched ‘Snapcodes’ from Snapchat, which allow messenger users to scan a circular icon (from anywhere, with their phone) and add a brand to their chat list. 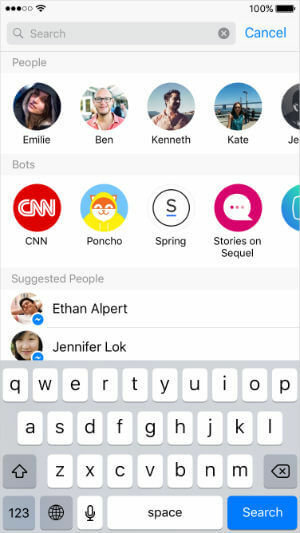 Indeed, according to Campaign magazine, the layout in the app “looks very similar to Snapchat’s ‘stories’ page that features discover options”, with people in one row and bots in another. Finally, Facebook has launched the Wit.ai Bot Engine, which will allow developers to build more sophisticated chatbots. These bots will eventually be able to interpret intent, use natural language and learn and improve themselves over time. The ‘bots store’ may be new but Brand Republic argues that chatbots have been around since before the internet, referencing the first instant messaging applications for desktop via AOL and MSN. Of course, there are several select brands who have already been involved in testing the technology, including Lyft, Uber and KLM. According to the Drum, businesses already using branded bots include retailer Spring, which provides a personal shopping assistant, and CNN, which delivers breaking (and personalised) news via its bot. The known bots are listed here. The end of brand apps? Shona Ghosh at Brand Republic argues that the attention and coverage Facebook enjoys makes it a more sensible choice for investment than a dedicated brand app. “If Facebook’s vision comes to pass, businesses are more likely to be building their own bots than dedicated mobile apps, with the social network acting as the unified layer. The benefit for Facebook, if it pulls it off, is that it becomes indispensable, a kind of mini, closed version of the web.” KLM is one brand that seems to think that the future lies with chat apps rather than company websites. 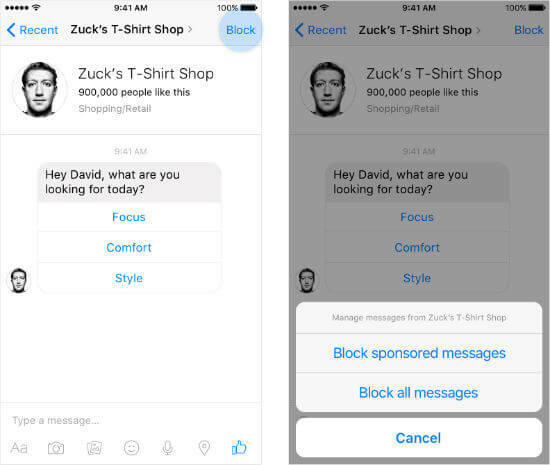 However, Facebook’s foray into artificial intelligence is not supposed to be used for pure advertising but businesses will be charged to send ‘Sponsored Messages’ to those already engaged with them. TechCrunch writer Sarah Perez has noted that one problem is a lack of greetings in some chats – how do you start a converstion with a bot? – and, like the Mapa Analysts, Perez expressed disappointment that some bots didn’t return the relevant information (even after a simple request) and some were downright snarky. It’s clear that, while the technology may be progressing, the desire to speak to a real person – with some empathy and skill in finding the right answer quickly – may outweigh the desire to stay within your favourite messaging app to conduct all your business, at least for now. We wouldn’t be surprised to see retail banks adopting chatbots en masse over the next few months. What will be interesting will be monitoring the execution: seeing who is doing it so well that we can hardly tell it’s a robot replying to our questions. 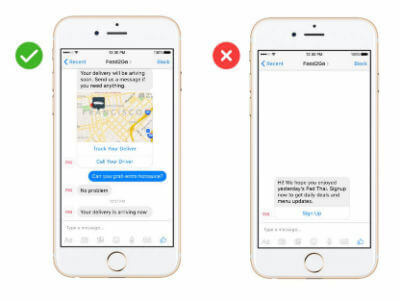 View more info on Facebook’s chatbots for messenger at https://developers.facebook.com/docs/messenger-platform/product-overview. Our Customer Servicing on Digital Channels report looks at how banks are innovating to provide customers with the right support in the right place at the right time, including the use of diverse social channels and AI. To subscribe to the Insight Series reports, contact us today.